It’s not every day we can wheel our cars around, from state to state or county to county. And we definitely cannot bring our car if we have something to attend to across the Pacific Ocean whether it be personal or work-related. More often, the basic reason we rent car is for our own convenience as well as the necessity to have it any time that we might need some wheels to give us a good, swanky ride. 1) A Round of Comfort. Nothing is more delightful than riding on a good car. Apart from the people who rent cars, the service industry also gains momentum from them. They both benefit from each other especially on the users end. You are given the chance to pick the latest model and most swanky car you can ever have in your life. What’s more? You are the driver and you can bring it anywhere you like. You might also create a dazzling buzz among your friends. 2) More Equipped. You should cherry pick the car that’s equipped with the latest amenities and safety features that can ensure safe, convenient, and comfortable trips for you. Also make sure that the car you pick has a full gas tank. If you have a car that’s been with you for a number of years and which you cannot bring to the place you need, renting a car that’s well equipped is just the right thing that you need. 3) The Driver. There are some car rental companies that give you the option to have your own personal driver to take you to different places. It will be less hassle on your part because you have the time to rehash old things inside the car while a driver’s taking charge of your ride. You are also given the option to take the car and drive it yourself. 4)The Price You Get. You are not burning you buck by renting a car. It pays to rent a car because you can pick the car that’s best and most suitable to your needs. 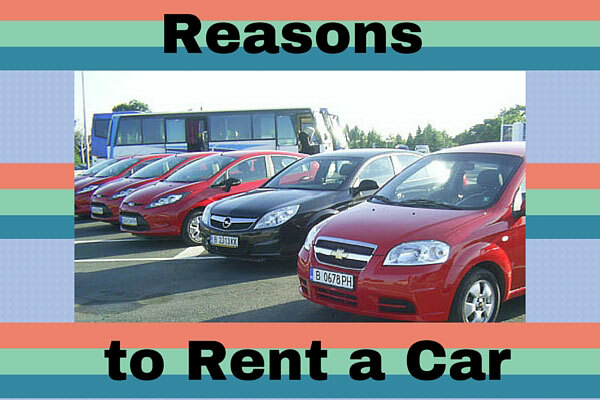 Renting a car is the most convenient thing to do when you are to travel on a relatively new place. Not only will it give you the comfort that you will need, but you also get to drive a cool car without having to spend too much. With all the nice and great deals that you can get, try to rent a car the next time you choose to drive a little farther from your familiar neighborhood block.